In addition to being the only dedicated car wash show in Europe, we are also now the largest car wash show in terms of participating companies, in the European market. As of this month, the number of contracted exhibitors has exceeded previously hosted exhibitions of this nature across Europe. 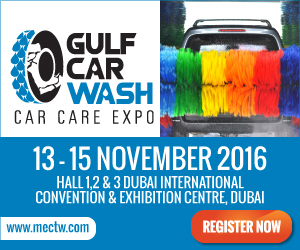 Visit http://www.carwashshow.eu to view the full article online. 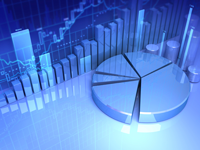 How does your business measure up? For just 10 minutes of work per quarter to submit data, ICA Wash Count participants are receiving in-depth economic and comparison reports to help make better business decisions. Hear from one program participant on the power of knowing how you measure up, and download a sample report. 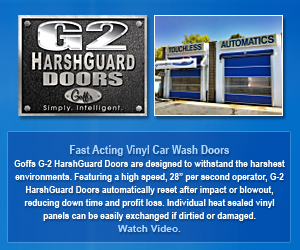 Visit http://www.carwash.org/washcount to view the full article online. Harv's Car Wash in Sacramento recently installed $50,000 worth of upgrades to recapture water in an effort to save water in the midst of California's drought. 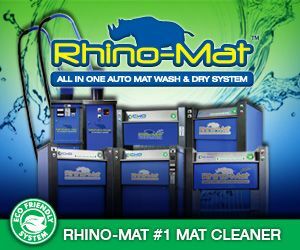 Visit http://www.kcra.com/news/sacramento-car-wash-uses-water-more-wisely/33398488 to view the full article online. Adam and Paul, Jr. Tocci of Belmont Car Wash & Detailing are proud to be the recipient of the 2015 Massachusetts Family Business of the Year Award in the "small firm" category. The company was honored on June 11th with the other winners at the annual awards Gala at Northeastern University. Visit http://carwash.org/news-landing/2015/06/15/belmont-car-wash-detailing-wins-massachusetts-family-business-award to view the full article online. Two lucky customers will win a Brinkmann 6-Burner Gas Grill package worth over $500 just by washing their car this summer. Contest entry forms will be handed out with every car wash during the month of June. There is no limit on the number of entries, so the more you wash, the better your odds. Visit http://carwash.org/news-landing/2015/06/16/kwik-car-wash-s-annual-great-grill-give-away-and-project-healing-waters-car-wash-fundraiser-saturday-june-27th to view the full article online. Bradley Kloppers, a qualified auditor by profession, was brave enough to give it all up to become his own boss. Kloppers always had a flair for making money. He used to sell fish and paint houses as a boy and loved working with his hands. 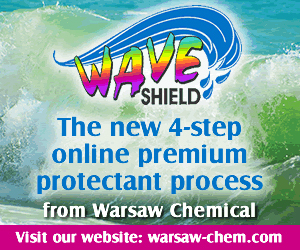 Visit http://www.informante.web.na/car-wash-business-savvy.16123 to view the full article online. A good leader values employee happiness. A great leader values the employee engagement that results from that happiness. Visit http://www.entrepreneur.com/article/247099 to view the full article online. Visit http://www.business2community.com/digital-marketing/turning-your-website-into-a-customer-loyalty-development-channel-01247701 to view the full article online. More than three-quarters of SMBs say professional-looking sites attract more or better customers. Visit http://www.emarketer.com/Article/SMBs-Fail-Focus-on-Branding-Upon-Launch/1012592 to view the full article online. Brand messaging in the new normal must convey more than simply what the brand does for an individual consumer; it must also say what the brand does for society or for the larger good. Visit http://www.business2community.com/branding/brand-messaging-in-the-new-normal-01245932 to view the full article online. For more than 40 years, C.A.R. Products, Inc. has been a leader in the manufacturing of vehicle detailing and cleaning products. Founded in 1969 by Harry and Ruth Goldenberg, C.A.R. Products (Complete Appearance Reconditioning Products, Inc.) has continued its philosophy of offering high quality products at a fair price. 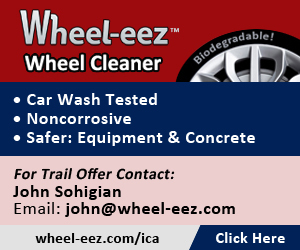 The company manufactures products for the professional carwash industry, auto detailers, truck fleet, heavy equipment operators and for home use and is based in Holyoke, MA. Visit http://carwash.org/news-landing/2015/06/15/c.a.r.-products-inc.-has-joined-blendco-systems-as-a-part-of-the-transportation-division-of-dubois-chemicals to view the full article online.